For companies to succeed, leaders must understand how to stay ahead of their competitors in adapting to the new conditions and opportunities. 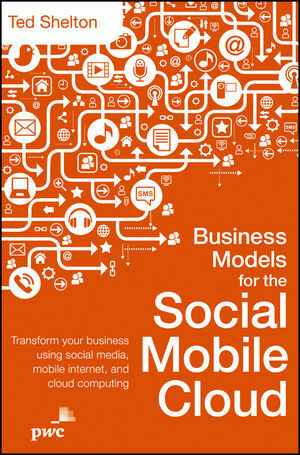 In Business Models for the Social Mobile Cloud, PwC’s Ted Shelton describes the tectonic changes currently underway—and to come—plus why they are happening, what to expect, and what you must do about. Ted Shelton Managing Director, PwC Advisory, leads a social business consulting team focusing on the consumer, retail, and high-tech industries with PwC's Management Consulting Practice. He is an active blogger and industry thought leader on how corporations can better utilize social media and mobile technologies to manage and improve their brands, providing a deep understanding of the leading technology players currently changing the landscape of customer engagement for corporate America.